How do I add my WordPress Website to Google? In order for BAVOKO SEO Tools to provide you with all the important ranking analysis and details, you must first add your website to Google and connect to the Google Search Console. 1 What is the Google Search Console? The Search Console is a free service by Google for monitoring and analyzing the search engine presence of your own websites. The Google Search Console makes it possible to manage and analyze a site’s sitemap, internal links, rich snippets or URL structure. In addition to detailed information about referring links and search queries that brought your visitors to the site, the crawl behavior of Google Bots, the indexing status of your pages and much more, the Search Console also gives you the ability to analyze the usability of your site on mobile devices. The data within the tool is not public and can only be viewed by the webmaster, who must therefore first verify his ownership. By integrating the Google Search Console into our plugin BAVOKO SEO Tools, we enable you to perform detailed SEO ranking analyses directly from your WordPress backend. 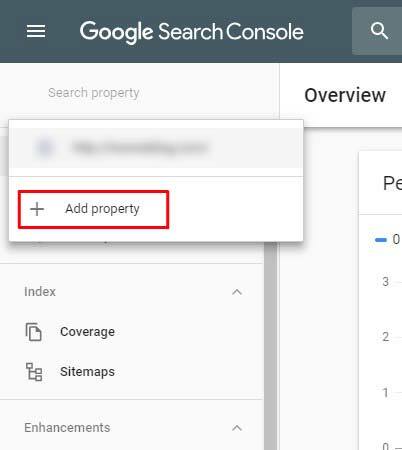 You must have a Google Account to be able to connect to the Google Search Console! Go to the Google Search Console homepage and sign in with your Google Account. Click on the “Add Property” button to add your website. 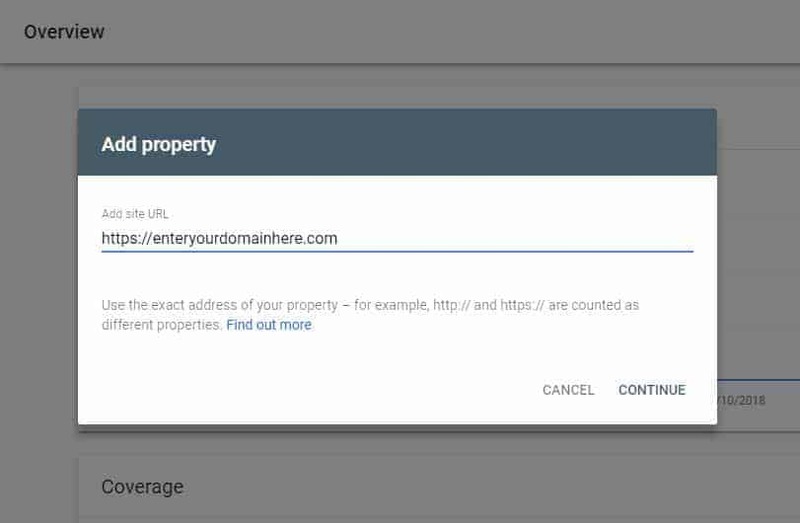 Now enter the complete URL of your website in the text field and click “Add” to continue. It is important to note, that the URL you enter needs to match your domain address exactly. For example, if you use https and www for your website, you must enter https://www.example.com/ here. To avoid duplicate content, the domain should only be accessible via one address. In our personal case, http://www.bavoko.tools, http://bavoko.tools and https://bavoko.tools will be redirected to https://www.bavoko.tools/. For the verification of your ownership there are a few different methods to choose from. In order to verify your website with BAVOKO SEO Tools on Google, the HTML tag confirmation is particularly suitable. Click on the small arrow next to “HTML tag” under “Other verification methods” to expand the row. In the now visible HTML tag code line you will find your verification code under content=”Your verification code”. Now copy the code between the quotation marks. You can add the verification code both during the installation of BAVOKO SEO Tools and later within the “Settings” → “API Settings” by clicking on the button “Not yet connected to the Google Search Console?” and pasting the code from the HTML tag there in the line “Site Verification HMTL Tag”. BAVOKO SEO Tools will automatically save the code and generate the meta tag within your pages. Switch back to the GSC page and complete the setup by clicking on “Verify”. After the connection to the Google Search Console has been established, the search area of BAVOKO SEO Tools offers you extensive possibilities for the analysis of your rankings, which are particularly important for an effective search engine optimization. You can take a closer look at the rankings of your pages and keywords in clear displays here and use the monitoring tool to check your most important keywords. For users of BAVOKO SEO Tools PRO the search area also includes the complete SEO keyword research, the ranking analysis by countries & devices, as well as the possibility to analyze the ranking development of your competitors. In addition to the important ranking data, the Google Search Console also gives you the opportunity to directly deposit the sitemap of your website for easy administration and troubleshooting. Sitemaps are generally used to tell search engines which URL’s do exist on your website and where exactly they can be found. This minimizes the probability of some of your pages not appearing in the index after the crawl. With BAVOKO SEO Tools you can create a complete sitemap of your website with just a few mouse clicks and submit it directly to Google. If you want to learn more about sitemaps in BAVOKO SEO Tools, you can read on here. The “Fetch as Google” function within the Search Console allows you to perform a google-style, simulated crawl of your page to check how the Googlebot renders the page and whether any errors such as blocked scripts or images are occurring. Furthermore, all changes on the transmitted pages will be indexed and included in the Google search results within a very short time. Within the Content Optimizer of BAVOKO SEO Tools simply click on the button “Fetch as Google”, which will take you directly to your Search Console and BAVOKO SEO Tools will automatically enter the URL of the respective post in the field. Then just click on “Retrieve as Google” and choose whether only the single page or all linked pages should be re-indexed. It usually takes a few minutes, in some cases several hours or days, until Google takes over the changes in the search results. Google’s Search Console is an extremely important resource on the road to successful search engine optimization. In addition to all relevant information about your visibility in the Google search results, the Search Console gives you comprehensive options for managing your website. By connecting to the Google Search Console, BAVOKO SEO Tools can provide you with an enormous wealth of ranking data for analysis, allowing you to effectively optimize your website for search engines in the right places.